My name is Andy Goldman and I am a long-time science-fiction/fantasy/horror/speculative fiction fan, whether in books, comics, or TV/movies. On the Lithicbee blog, I’ll be talking about writing, comics, books and whatever else catches my interest. 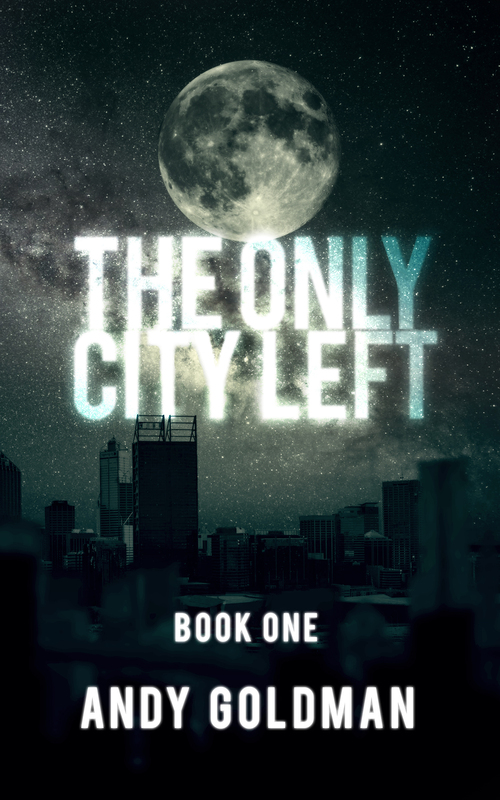 Sundays are currently for me to share my serial SF story, The Only City Left. Note: there are many Andy Goldmans when you search Google. I am not most of them, and certainly not this one: http://theinfosphere.org/Andy_Goldman. You can find me on Google+ and Facebook. On Twitter, I am @lithicbee. What the heck is Lithicbee? Lithicbee is the handle I have been using for a long while now. If you look up Andy Goldman on Google, you find a lot of not-me’s. If you search for Lithicbee, I have the monopoly, so it just made sense for me to use that as an identifier. The story of the name is that I had a dream once where someone told me they loved my band. Since I don’t/can’t play music, I was thrilled to be in a band and I asked, “What’s the band called?” They replied, “Lithic Bee.” For some reason I remembered this when I woke up and thought it was unusual, so I looked up the word “lithic,” and found that it meant “of or relating to stone.” Ohhh, okay, like monolithic. Did I just teach myself a new word in a dream? Anyway, from then on, I have used Lithicbee. I never formed the band in real life (you’re welcome! ), but if anyone wants to draw me a statue of a bee, I would not object. I have a new digital release I would like for you to consider reviewing/promoting on your fine site. It’s a Miami crime-noire tale called The Bends: One Shot. The intended audience is mature. I would like to send you a PDF of the completed work for your review/consideration. My apologies for posting this here, as I couldn’t find your email address. Forgotten Tomb Press just recently opened submissions for Miseria’s Chorale, a non-paying horror anthology to be headlined by some of the best in the genre from around the world. Since we do not have much in the way of exposure, we are busy personally inviting contributors. We would like to make this project into something special, and we believe your talent could greatly bolster the anthology. As we are a fledgling company and lacking financial backing, your only incentive will be exposure. But, seeing as we are planning this to be a big anthology, your name will join other notable horror writers. If you are interested in being a part of this project, we eagerly anticipate your entry. Thank you for your time.